Manage your account. Make it awesome. You will find all of your Collections under this page. A common transport protocol for Bit when self-hosting is over SSH. This is because SSH access to servers is already set up in most places – and if it isn’t, it’s easy to do. SSH is also an authenticated network protocol; and because it’s ubiquitous, it’s generally easy to set up and use. This makes SSH the preferred method for collaboration when developing components for remote Collections. Go to profile settings and choose “Emails”. There you can manage your account’s Emails, add Emails and set your primary Email. 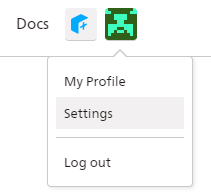 To change your avatar: Go to your Settings page (by clicking the avatar on the top right side). 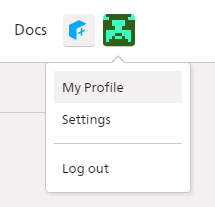 Click “upload new avatar” next to your Avatar. You will be redirected to Gravatar. Sign up and follow the steps to change your avatar. To update your password: Go to your Settings page (by clicking the avatar on the top right side). Under the change password section, click “request a new one here.” A password reset link will be sent to your registered email. Follow the email instructions. Note: The link is valid for 24 hours. If you face any problems, you can email us at team@bit.dev.